A "gray rhino" is a highly probable, imminent threat; we can see the dust cloud on the horizon long before the charging animal comes into view. Gray rhinos are not random, but occur after a series of warnings and visible events. The Lehman Brothers crash of 2008, the devastating aftermath of Hurricane Sandy and other natural disasters, the file-sharing that presaged the collapse of the traditional music business model, the rising chaos in the Middle East...all were evident well in advance of the consequences. 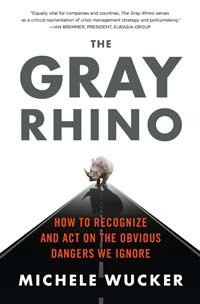 Gray rhinos are much easier to spot and guard against than "black swans"-- the rare, truly unforeseen catastrophes. Why then, when faced with solvable problems, do we continually fail to address them before they spiral out of control? Drawing on her extensive background in policy formation and crisis management, as well as in-depth interviews with leaders from around the world, Michele Wucker explains in The Gray Rhino how significant crises can be recognized and countered strategically. 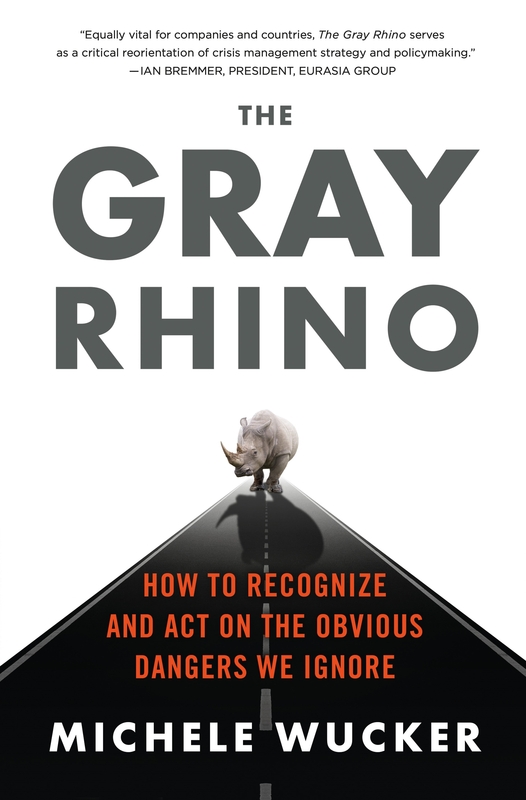 Filled with persuasive stories, real-world examples, and practical advice, The Gray Rhino is essential reading for managers, investors, planners, policy makers, and anyone who wants to understand how change really occurs.